In 2016, one of the best things you can do to attract IT recruiters and IT staffing agencies is to update your LinkedIn profile. While technical recruiters and IT recruiting companies will definitely need a resume, your LinkedIn profile is almost as important. Here is one major mistake to avoid as you update: Giving excessively long descriptions of all the IT jobs you’ve ever held. Why is this a problem and what should you be doing instead? Firstly, consider your LinkedIn profile akin to a movie trailer for your real resume. IT recruiting firms tend to see hundreds upon hundreds of LinkedIn profiles. Make it easy for IT staffing agencies to decide you’re a great candidate to contact. Very briefly list the best information about your career. If your profile is long and full of extensive details, it’s less likely that you’ll get a call from IT staffing firms. Here’s how to clean up your profile a bit if you have too much information under each IT job. Copy all the material to a new document so you can start fresh. Now use that info to create only a handful of statements that are all about your accomplishments at these IT jobs. Check out this blog post for some great verbs to help you build powerful sentences. With fewer bullets that really showcase your worth, get ready to impress IT staffing companies and kick your job search into gear! 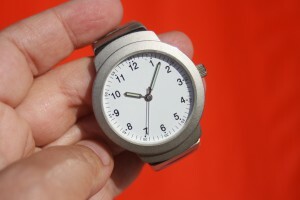 Time is of the essence, so cut down descriptions of your IT jobs on your LinkedIn profile! Photo credit: steinchen via Pixabay. This entry was posted on Monday, January 4th, 2016 at 10:34 am and is filed under IT recruiting, IT Resumes . You can follow any responses to this entry through the RSS 2.0 feed. Responses are currently closed, but you can trackback from your own site.